Recipient of the Americana Music Association’s Lifetime Achievement Award and the Austin Music Award’s Townes Van Zandt Songwriter Award, the legendary Mexican-American singer-songwriter will tour on the back of his acclaimed new immigration-themed album the crossing. 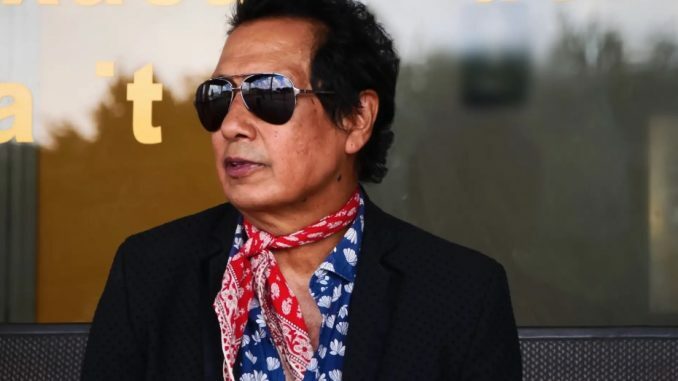 DRW Entertainment will present, for the first time in Australia & New Zealand, much-loved Mexican-American singer-songwriter Escovedo who will perform at the Port Fairy Folk Festival and at side-shows on the East Coast in March 2019. Alejandro Escovedo is a seminal figure in Texan music and one of the most acclaimed American songwriters of his generation. He’s a recipient of the Americana Music Association’s Lifetime Achievement Award, and, as has been recently announced, he will be honoured with the Townes Van Zandt Songwriter Award at next year’s Austin Music Awards. He’ll be only the third recipient of that honour in the Awards’ 37-year history, in a town that he helped put on the musical map. The first visit by such a long established and indeed truly iconic artist is a rare thing these days, and these landmark shows by Alejandro Escovedo– at the Port Fairy Folk Festival and up and down the Australian East coast, as well as in New Zealand – are not to be missed by any fans of great songwriting and passionate performance.